The Asian Institute of Management (AIM) has unveiled its Data Science Corporate Laboratory, the first facility of its kind in the Philippines designed to become a center of excellence in Data Analytics, Artificial Intelligence, Machine Learning, and Computational Modeling. Called the Analytics, Computing, and Complex Systems Laboratory or ACCeSs@AIM, this R&D facility boasts a next-generation Acer supercomputer, the fastest in the Philippines and second fastest in the ASEAN region with computing speeds of up to 500 teraflops and a capacity of 500 terabytes. 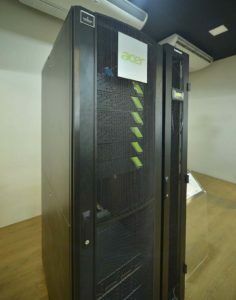 Housed under AIM’s School of Innovation, Technology and Entrepreneurship, the supercomputer was donated through StanShih Foundation, led by Stan Shih, Acer founder and honorary chairman. The opening of the laboratory, participated by Stan Shih, AIM officers and some of the country’s data scientists, is a concrete step AIM decided to take to improve the economy of developing countries in the ASEAN, especially the Philippines, and promote partnership that will directly impact businesses, communities and society. 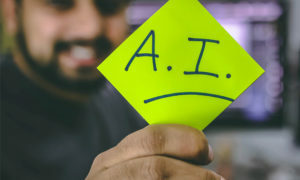 The ACCeSs@AIM is envisioned to lead, inspire and transform the use of data science, AI and computational models to help industries, government and other sectors in the country to innovate. “We want to train the next-generation of data science leaders to ask the right questions, as well as mine, refine, and convert data into information that will greatly benefit businesses and communities in the era of industry 4.0,” said Professor Christopher Monterola, ACCeSs@AIM executive managing director. ACCeSs@AIM will work closely with highly-trained scientists, practitioners, entrepreneurs, economists and engineers to spearhead an ecosystem that will bridge public and private R&D collaboration; promote partnership that empowers faculty, researchers, graduate students, policy makers, executives and decision makers; and enhance the competitiveness, sustainability and adaptability of companies using computing modeling techniques as strategic resource. “By enabling data scientists to work closely with domain experts and individuals familiar with business and management issues, ACCeSs@AIM will create a collaborative ecosystem where business acumen meets data science skill sets. The goal is to empower managers, government leaders, and policy makers to make data-driven decisions,” said Jikyeong Kang, AIM president and dean. Led by Professor Monterola, the ACCeSs@AIM has eight data scientists right now. Scaling up, they are looking at having 15 to 20 full time data scientists. Professor Erika Legara claims that in ACCeSs@AIM, the level of R&D as well as complexities they have to perform for companies is similar in Singapore. It is mostly for increasing operational efficiencies of companies looking at their HR, and even customer relations management and corporate planning are also involved. Monterola adds that they are working on the idea that is related to urban mobility, urban planning as well as trying to understand the well-being of the population. Aside from being a research facility, ACCeSs@AIM is also the laboratory of AIM’s Master of Science in Data Science, the first data science graduate program in the Philippines and among the first in the ASEAN where students will be exposed to real-world problems and they will learn data science and experience what it takes to be a great data scientist. The potential of the Philippines as a player in developing data science and AI technologies is very high, according to Monterola. 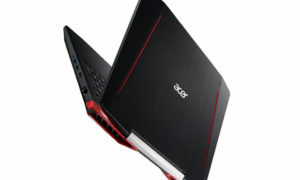 “I think we are very fortunate that we are partnering with Acer. 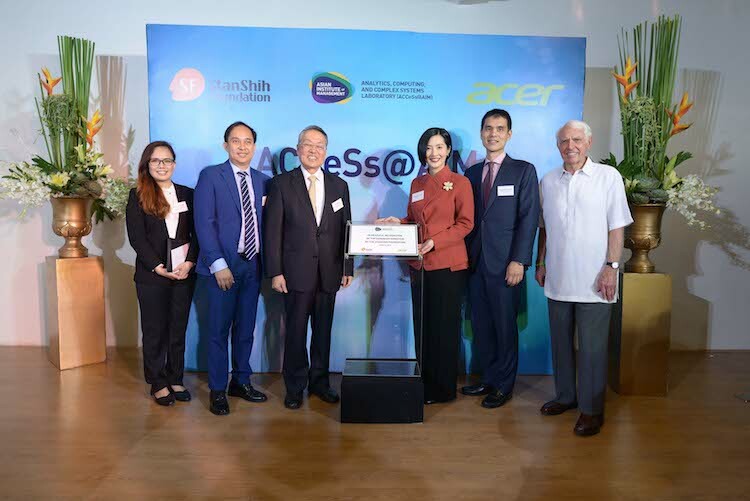 They are very committed and believed that it is not just a charity for them but it is something that will be useful for them, and will be a win-win for Acer, AIM and the Philippines,” he said. The capacity of the country to produce highly-trained data scientists will be boost through the MSDS program and opening of ACCeSs@AIM having the ASEAN’s second fastest supercomputer which cannot be found in any business school. “In three to five years time, most companies will be needing a whole new C-suite. ACCeSs@AIM and the MSDS program hope to provide you with well-trained, proactive future data scientists, maybe even your next Chief Data Officer,” said Monterola. Although ACCeSs@AIM has a data science laboratory with supercomputer that can help boost data science in the Philippines, there are also challenges the Philippines needs to hurdle to become successful in this field. Monterola said the Philippines currently has a shortage of properly trained data scientists. To do something about this, it is best to put in one location the best available talent and to have the right mix of talent. “Data science is a multi-disciplinary field. It requires inputs from different disciplines so we need to make sure that we will be able to make all practitioners, scientists, engineers, economists to be in one place. That’s why we have the site, the school,” said Monterola.